Perdomo Lot 23 Robusto cigars take medium-bodied Nicaraguan puros to the max. A blend of rare 2001 Corojo & Criollo long-fillers and dark Corojo wrappers unite for an earthy, spicy and creamy smoke with perfect balance. 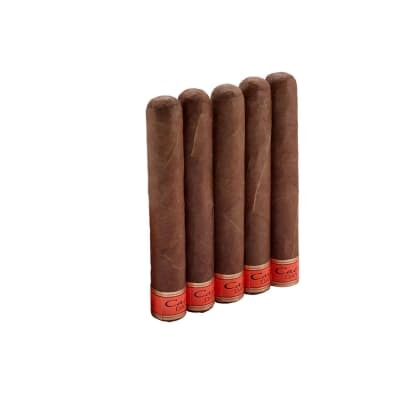 Great for both new and veteran cigar apprecianados, add them to your cart now. 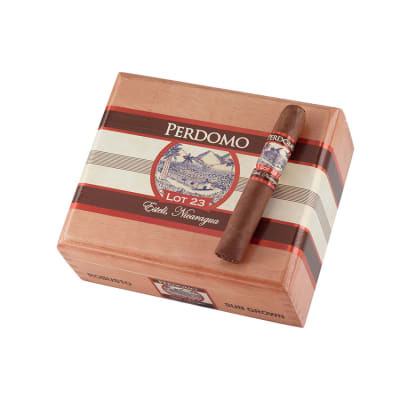 Perdomo Lot 23 Robusto cigars take medium–bodied Nicaraguan puros to the max. A blend of rare 2001 Corojo & Criollo long–fillers and dark Corojo wrappers unite for an earthy, spicy and creamy smoke with perfect balance. 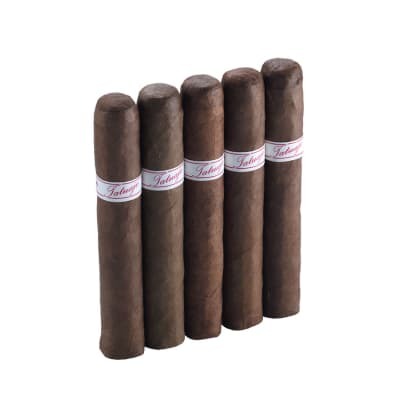 Great for both new and veteran cigar apprecianados, add them to your cart now. Just one of the greats from Perdomo! I ve been used to the Lot 23 Connecticut and gave this version a try. I found the construction and look pretty much the same with the wrapper a shade darker. The pre-light draw was good and the taste like that of leather. On light up, the leather flavour appeared and continued throughout to the nub - yes, I went to the nub and found no bitterness or negative after taste. This is a bit heavier than the lighter version and pleasant. One of the best I've ever smoked! I got this cigar in a 6 pack Perdomo sampler and it is wonderful. Great construction, burn, and draw. Very smooth, lots of smoke. Creamy. Not sweet, but great flavor. Will buy again!